There is nothing better than breaking the daily routine of life then with a grandiose festival from Ancient Egypt. Festivals allow everyone to put away their cares for a day or two, and to celebrate the best that Life has to offer. The festival of Marci Gras is said to come from the celebrations of the Goddess at her Temples. It was one of the most popular festival in Ancient Egypt. Herodotus claims that Her festivals was the most elaborate in Egypt. Women were freed from all constraints during Her annual festivals. 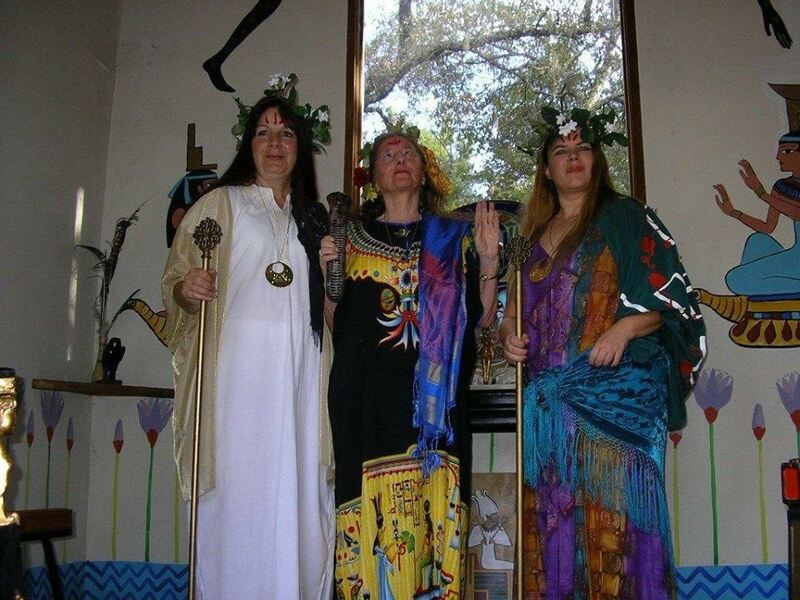 They celebrated the festival of the Goddess by drinking, dancing, making music! Who? 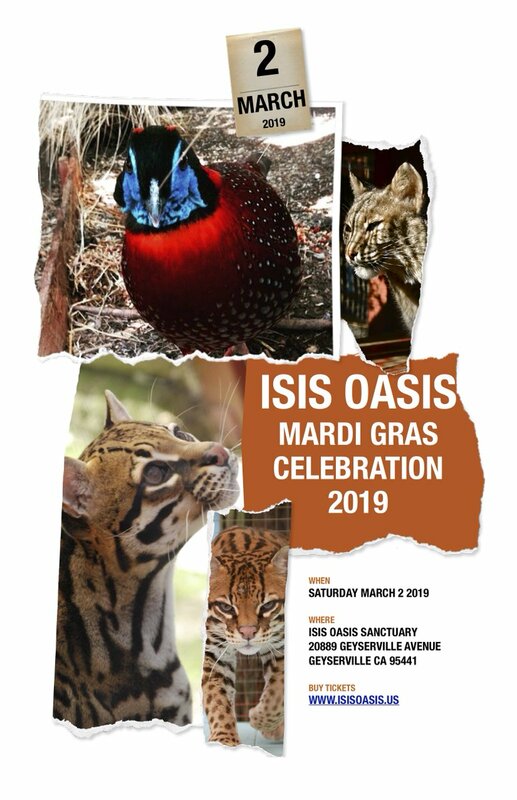 – Isis Oasis Retreat and Sanctuary, is a 501(c)(3) refuge for animals, founded in 1978 by Lady Loreon Vigne to house her beloved ocelots and to be a center for the arts focusing on the feminine faces of the divine. In time, the 10 acre property would become a creative touchstone for her art and the many artists who visited. Rock musicians, poets, writers and sculptors would be inspired with the beauty of this location, one of several touchstones in historic Geyserville, the capitol of wine country. Join us once again as we have our annual Convocation event, where we ordain our new priests and priestesses into the Temple of Isis and Fellowship of Isis. Programming will be diverse, honoring the many traditions and roles found within Isis of 10,000 Names, including (but not limited to) Druid, Dianic, Noble Order of Tara, Norse, and the magic of mother nature herself. Room rates per person are $125/night, double occupancy, including meals. Dorm lodgings are $75/night. Day passes for Saturday and/or Sunday are $60 and include entry to all events between 11am and 11pm on that date, plus lunch and dinner. For more information, and schedule of events as they become available, please visit the TOI Convocation Website, or call us to book your stay. Hosted by Reverend and Priestess Rain Graves, The Inner Sanctum Symposium on Infinite Possibilities is a fantastic learning opportunity for those interested in exploring the magic and mysteries of the Egyptian Pantheon. You do not need to be a priest or priestess to attend; only have a healthy curiosity. Special pricing is available at $105/night per person, including all meals, for Lodge Rooms based on double occupancy. Dorm accommodations are available at just $70/person, or day passes are available for $50 and include lunch and dinner, plus events from 11am to 11pm. Call now to book your room, as space is limited. For more information and a full schedule of events as they become available, please visit the Symposium Website. Join us every Sunday at 3pm under the Great Tree to discuss aspects of Lady Loreon’s Spiritual Wisdom as written in her 52 Scrolls manuscript, led by Archpriestess deTraci Regula. Share your own personal experiences, meet new people of a like mind, and see some of the social animals and reptiles people sometimes bring to circle. Tea and cookies afterwards, served in the pavilion. It’s a nice way to spend a lazy Sunday. No RSVP necessary, and always free to attend. Granny Rainbow, aka Prs. Arisa Victor, explains and shares her in-depth knowledge of the magic of the Tarot. Arisa Victor has forty-five years of daily immersion in the mystical Cabala as presented by her beloved teachers, Paul Foster Case and Jason Lotterhand. She is the author of High School Astrology, High Magic, and creator of The Spoken Cabala. Currently, Arisa is writing two more books on Tarot. As a priestess of Isis since 1977, she offers a heart-centered, feminine understanding of Ageless Wisdom. Having delved deeply into Tarot, Astrology, and Alchemy, Lady Arisa delights in sharing these sacred teachings, which are presided over by Isis, Goddess of Magic and Mystery. To learn more about Arisa, visit her website. Please contact us to learn more about hosting your private event at Isis Oasis. Our space is a great place for Weddings, Birthdays, Personal & Organizational Retreats!